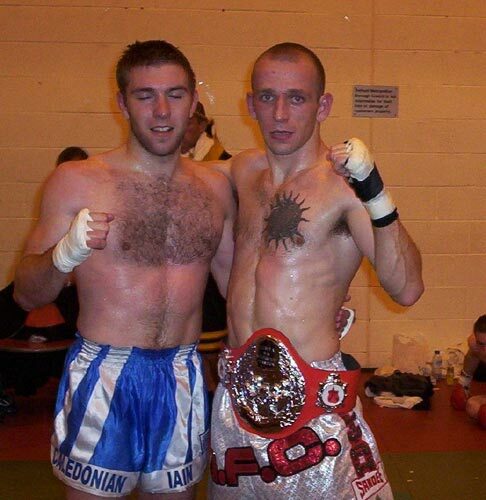 Iain McCulley concedes his title to Andy Thrasher in a cracking 5 round fight at Master Sken's show, 26th September. Both lads put on a cracking display of thai boxing, but on the day Andy was the hungrier of the two. In a great display of sportsmanship, Iain presented Andy with the title belt. Respect.